…just a few of the many advantages brought to you from the new Swift PRO from Vision Engineering. The versatile design allows ease of use, and advanced measurement technologies mean it can be applied to a broad range of applications. 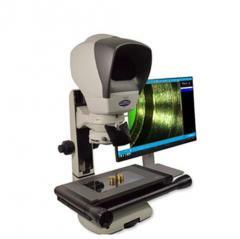 The Swift PRO is based on the best-selling Kestrel and Swift stands but with an enhanced design for ergonomic optical measurement and video edge detection in one system. This new video and optical measuring system comes in three variations; Swift PRO Duo, Swift PRO Cam and Swift PRO Elite. Call now for a no obligation onsite demonstration, save time and improve accuracy when measuring your components and inspect them for visual defect at the same time.